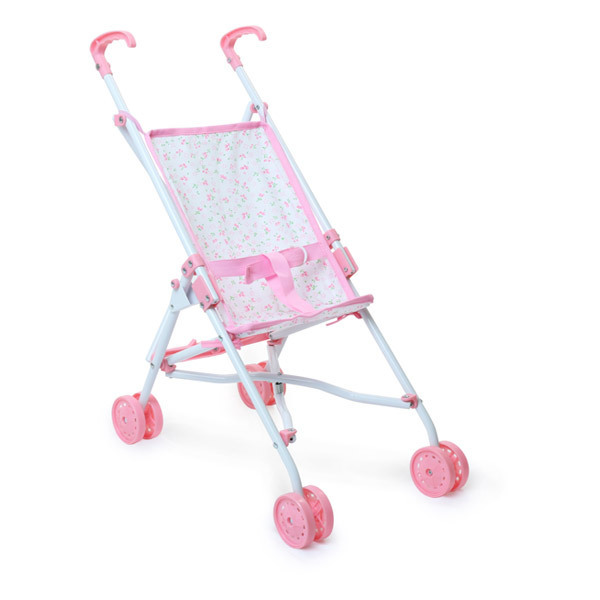 Such a pretty white painted metal pushchair with pink plastic wheels! The white floral seat can be removed for washing and everything can be folded down. Safety clips will prevent small fingers from closing the pushchair in error. Suitable for dolls up to 52 cm. Foldable pushchair, suitable for dolls up to 52 cm. Cute pink floral design. Removable, washing machine safe fabric. - Lightweight and easy to use!